New Demos for PS3 & 360! "Hunter. Survivor. Prey. Which will you be? Will you lock and load as a United States Colonial Marine? Fight for honour as the savage Predator? 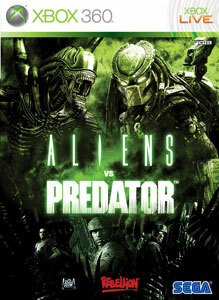 Or go in for the kill as the murderous Xenomorph? And will you be the hunter... or the prey? Demo features one map in Deathmatch multiplayer. Full game features eight maps, seven multiplayer modes and three single-player campaigns. Online connection required." 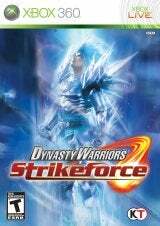 "Create your own "strikeforce" and embark on a quest to conquer Ancient China in this team-based Tactical Action epic. Fight as a unit with up to four players, or battle it out as a single-player with AI-controlled team mates. Communicate with friends using voice chat to coordinate assaults on heavily-armed fortresses and colossal beasts. Storm the battlefield with heart-pounding "air" fighting techniques, and startling "Fury" transformations. Play as your favorite warriors, including the newly-added Meng Huo. Even trade characters online. Do you and your friends have what it takes to rule the land? Prove your mettle with this white knuckle, high-flying adventure!"